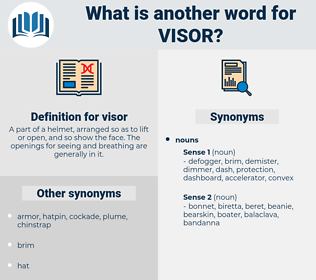 What is another word for visor? A part of a helmet, arranged so as to lift or open, and so show the face. The openings for seeing and breathing are generally in it. 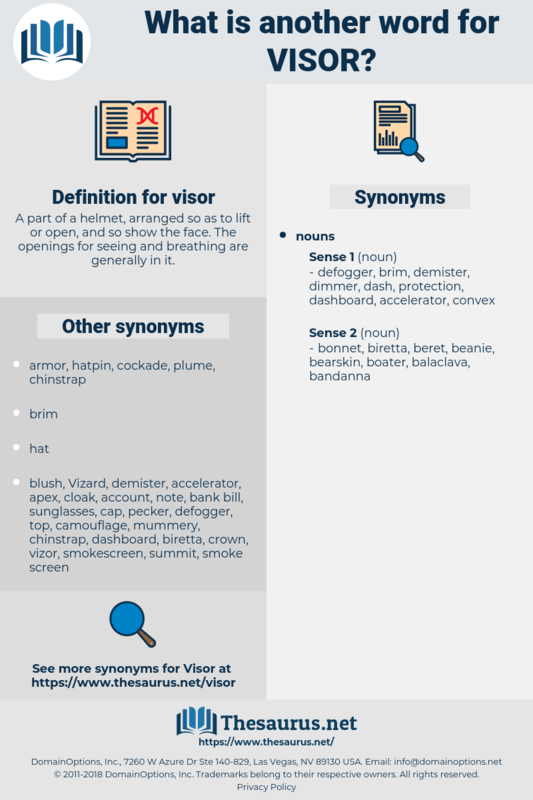 The foremost of the three, his tunic so small at the waist that he could only have been wearing a girdle, answered the salute by tapping his swagger stick against the visor of his cap. Out of the darkness, into the bright light of the arena stepped a figure all in armor, with the visor of his helmet down, so that none could see his face. armor plate, Armour Plate, armor plating, plate armor, Plate Armour.